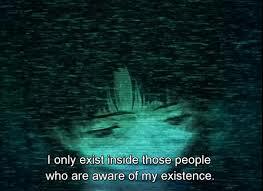 After a discussion with a parent of my son’s friend, I was given what he considers to be a great, albeit confounding and complex, show: Serial Experiments Lain. He said he’s watched it about 7 times and is just starting to feel like he’s getting it. A 13 episode show that originally ran in 1998 is a visual treat to watch, but don’t expect a light anime: this is some deep stuff folks. 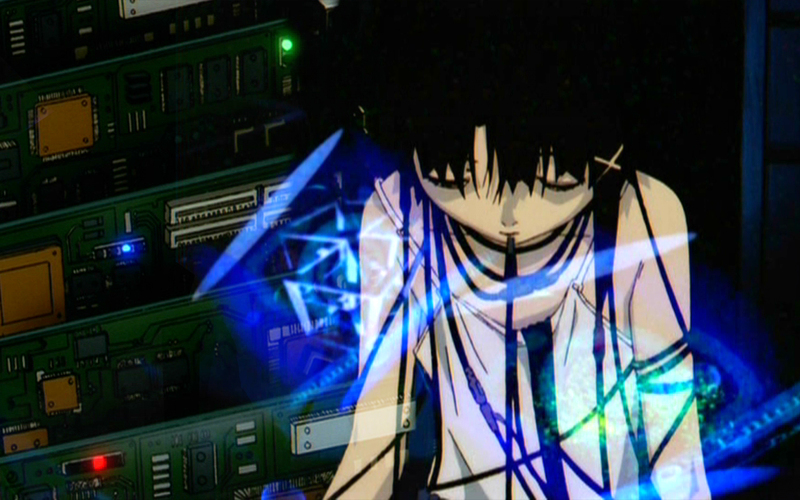 The story revolves around Lain Iwakura, an adolescent girl living in Japan. 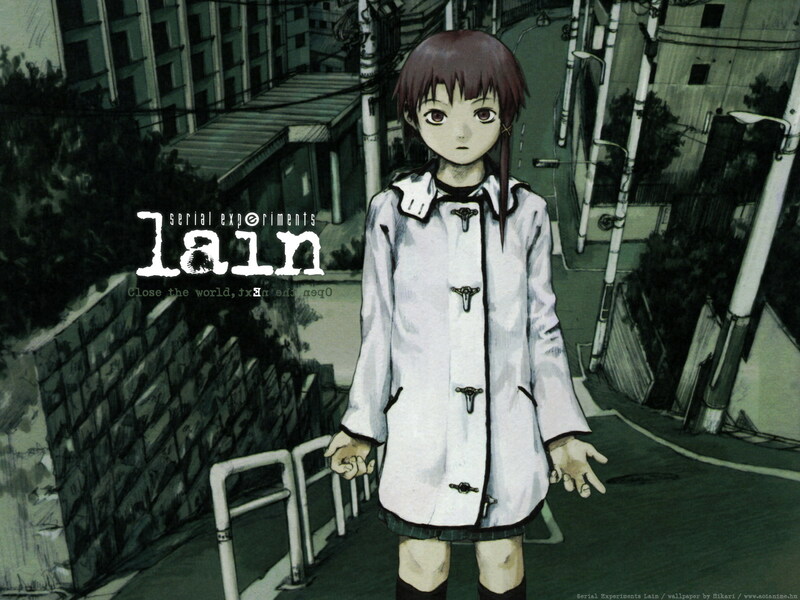 It begins after a series of emails had been sent out post mortem by a classmate of Lain’s who had committed suicide.The emails stated that she was not really dead, but merely had abandoned her body and was now living in the “Wired” (what would be the internet today). Lain gets one of these email as well and off the story goes into a complex web of notions (and discussions) around religion, consciousness, technology, identity, and any number of things one could wrap into this. It is a show that is hard to describe and I tend to not enjoy giving the entire synopsis’s of shows anyway. If you like something that is going to challenge you mentally: give it a try. 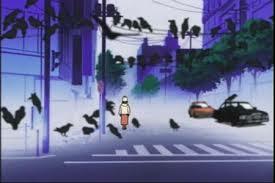 Like I said in the beginning: the show is visually striking. Since it is a little older some of the character designs may be clunkier than you are used to. 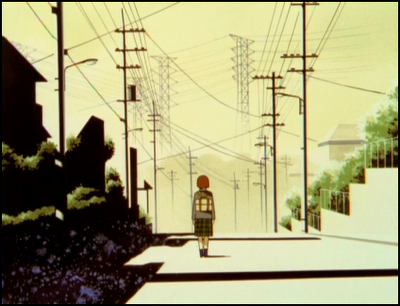 But the art direction and backgrounds are very appealing. Attention Parents: There is some graphic death scenes that may be disturbing to younger viewers. Also the subject matter would probably be boring for a young audience. This is really aimed for a late teen to adult viewer. I liked this show. It had a lot going for it, but it deserves multiple views to really get into the meat of it. Cyberpunk, religion, conspiracy, philosophy: it has got all of this and it gives you much to think about. Not that you will necessarily make sense of it. 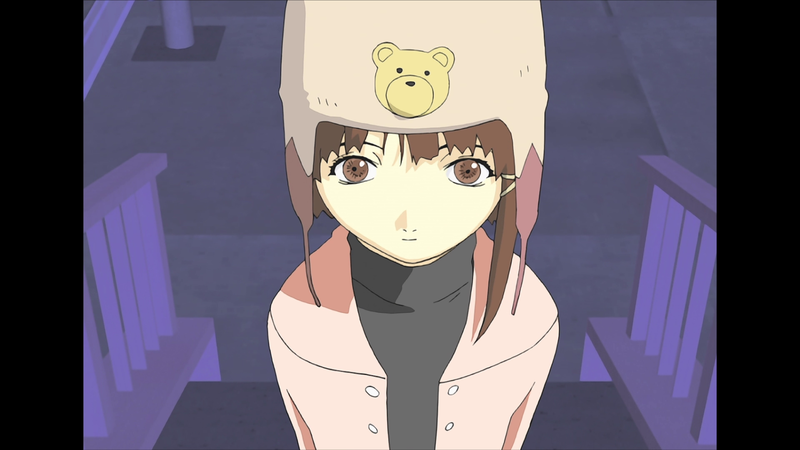 Just enjoy it and don’t get too wrapped up into it….Like Lain.